The Seattle area, and Washington as a whole, get low marks in studies of the worst places to drive. Having a bad traffic day? You’re not alone — and, apparently, it can’t all be blamed on the closure of Seattle’s Alaskan Way Viaduct or crashes on the freeway. 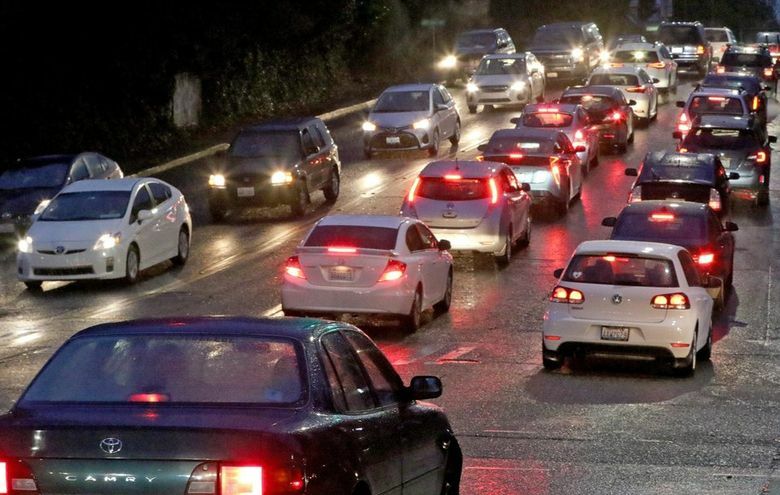 The Puget Sound region struggles with congestion that one study says is the 9th worst in North America and the 26th worst in the world. Another study found that Washington is the worst place for drivers in the contiguous U.S.
One report, by Kirkland-based transportation data company INRIX, looked at congestion in the 1,360 largest cities across the globe and found that commuters in the Puget Sound spent 55 hours in peak congestion in 2017. And it’s only gotten worse. 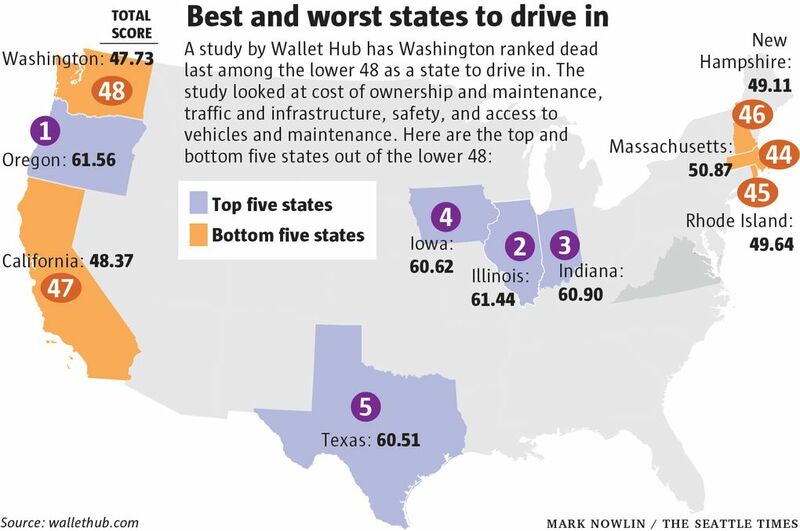 According to a study by Wallet Hub of the best and worst states to drive in, Washington ranks dead last among the lower 48. Our neighbor to the south, Oregon, is ranked first in terms of providing a “positive driving experience” for commuters, followed in order by Illinois, Indiana, Iowa and Texas. Alaska and Hawaii were ranked 49th and 50th respectively, the WalletHub study found. That study, released Tuesday, is based on a comparison of the cost of vehicle ownership and maintenance, traffic and infrastructure, safety and the ease of access to car dealerships, auto-repair shops and parking. The numbers were drawn from data released by agencies that include the U.S. Census Bureau, Federal Bureau of Investigation, U.S. Department of Energy, the Insurance Research Council and the National Highway Traffic Safety Administration.